Philip Roth: On Writing, Aging And 'Nemesis' Roth, who has been writing novels for more than a half-century, explains how he comes up with his ideas — and why he continues to write every day. In his latest work, Nemesis, he imagines a fictional polio outbreak set in his hometown of Newark, N.J., during the 1940s. 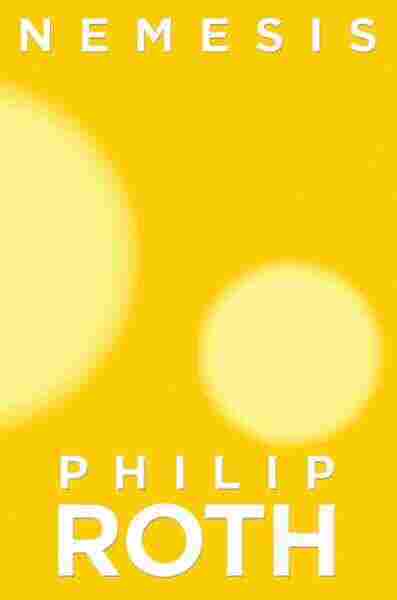 Nemesis is Philip Roth's 31st work. He has received the Pulitzer Prize, two National Book Awards, two National Book Critics Circle Awards and three PEN/Faulkner Awards. Philip Roth first became known in the late 1950s and 1960s for writing a new kind of story about Jewish identity. In books like Portnoy's Complaint and Goodbye, Columbus, he wrote comically about Jewish young men alienated from their culture and families. Roth's latest novel is set in 1944, in Newark, N.J. The title Nemesis refers to a polio outbreak taking place in Newark -- the town where Roth grew up -- though, as Roth tells Terry Gross, the characters and setting of his book are fictionalized. Roth explains that while he lived through the 20th-century American polio epidemic, he came up with the idea to write about the disease only after doing a simple brainstorming exercise. "I began [writing] as I sometimes do with a book [by jotting down] on a yellow legal pad all of the historical events that I've lived through that I've not dealt with in fiction," Roth explains. "When I came to polio, it was a great revelation to me. I never thought of it before as a subject. And then I remembered how frightening it was and how deadly it was and I thought, 'OK, try to write a book about polio.' "
In some ways, Roth says, writing Nemesis became an exercise in recovering his own memories of childhood, when both the polio epidemic and World War II were in full swing. 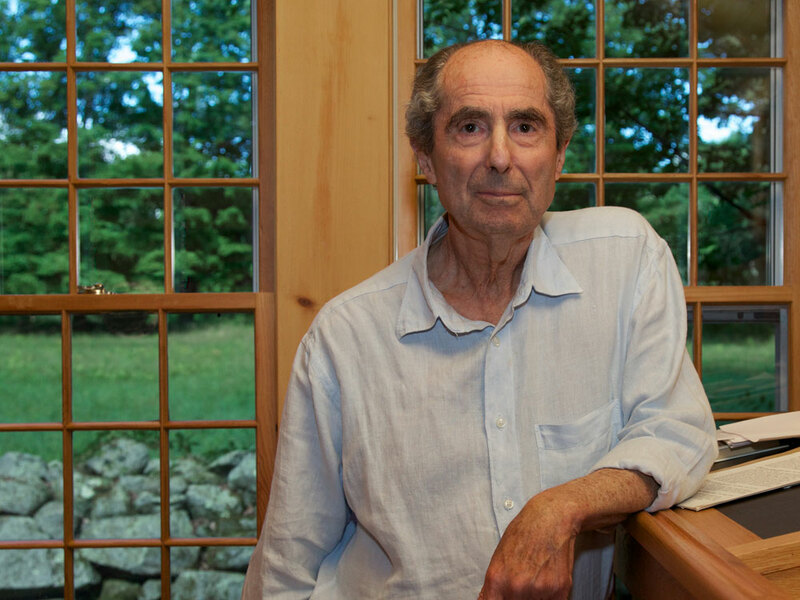 "The war years, as a boy, are very vivid and sharp in my memory," Roth says. "A child is really alive between the ages of 8 and 12, and we had this big thing to be alive to -- the war. The battles didn't take place in the U.S., but we had everything else. So I do know that period very well, and I didn't have to think too much about the neighborhood [in the book] because I went to that playground and remembered it all. So what I wanted to see is: Could I imagine what it would have been like, had the thing we all feared happened?" Roth says he used the same technique in his 2004 novel The Plot Against America, in which he imagined what would have happened had Charles Lindbergh defeated President Franklin Roosevelt in the election of 1940. And some of his other novels -- I Married a Communist, American Pastoral and The Human Stain -- also meditate on historical events during Roth's lifetime: blacklisting, the Vietnam War and World War II. Roth says that after more than five decades as an author, he won't stop writing anytime soon. "It's hard to give up something you've been doing for 55 years, which has been at the center of your life, where you spend sometimes six, eight, 10 hours a day," he says. "I always have worked every day, and I'm kind of a maniac. How could a maniac give up what he does? ... You sit alone, decade after decade, and you try to imagine something out of nothing. Not just imagine it, but, again, make a work of art out of it. And you do it so long, that in a certain way you can't do anything else." The first case of polio that summer came early in June, right after Memorial Day, in a poor Italian neighborhood crosstown from where we lived. Over in the city's southwestern corner, in the Jewish Weequahic section, we heard nothing about it, nor did we hear anything about the next dozen cases scattered singly throughout Newark in nearly every neighborhood but ours. Only by the Fourth of July, when there were already forty cases reported in the city, did an article appear on the front page of the evening paper, titled "Health Chief Puts Parents on Polio Alert," in which Dr. William Kittell, superintendent of the Board of Health, was quoted as cautioning parents to monitor their children closely and to contact a physician if a child exhibited symptoms such as headache, sore throat, nausea, stiff neck, joint pain, or fever. Though Dr. Kittell acknowledged that forty polio cases was more than twice as many as normally reported this early in the polio season, he wanted it clearly understood that the city of 429,000 was by no means suffering from what could be characterized as an epidemic of poliomyelitis. This summer as every summer, there was reason for concern and for the proper hygienic precautions to be taken, but there was as yet no cause for the sort of alarm that had been displayed by parents, "justifiably enough," twenty-eight years earlier, during the largest outbreak of the disease ever reported -- the 1916 polio epidemic in the northeastern United States, when there had been more than 27,000 cases, with 6,000 deaths. In Newark there had been 1,360 cases and 363 deaths. Now even in a year with an average number of cases, when the chances of contracting polio were much reduced from what they'd been back in 1916, a paralytic disease that left a youngster permanently disabled and deformed or unable to breathe outside a cylindrical metal respirator tank known as an iron lung -- or that could lead from paralysis of the respiratory muscles to death -- caused the parents in our neighborhood considerable apprehension and marred the peace of mind of children who were free of school for the summer months and able to play outdoors all day and into the long twilit evenings. Concern for the dire consequences of falling seriously ill from polio was compounded by the fact that no medicine existed to treat the disease and no vaccine to produce immunity. Polio -- or infantile paralysis, as it was called when the disease was thought to infect mainly toddlers -- could befall anyone, for no apparent reason. Though children up to sixteen were usually the sufferers, adults too could become severely infected, as had the current president of the United States. Franklin Delano Roosevelt, polio's most renowned victim, had contracted the disease as a vigorous man of thirty-nine and subsequently had to be supported when he walked and, even then, had to wear heavy steel-and-leather braces from his hips to his feet to enable him to stand. The charitable institution that FDR founded while he was in the White House, the March of Dimes, raised money for research and for financial assistance to the families of the stricken; though partial or even full recovery was possible, it was often only after months or years of expensive hospital therapy and rehabilitation. During the annual fund drive, America's young donated their dimes at school to help in the fight against the disease, they dropped their dimes into collection cans passed around by ushers in movie theaters, and posters announcing "You Can Help, Too!" and "Help Fight Polio!" appeared on the walls of stores and offices and in the corridors of schools across the country, posters of children in wheelchairs -- a pretty little girl wearing leg braces shyly sucking her thumb, a clean-cut little boy with leg braces heroically smiling with hope -- posters that made the possibility of getting the disease seem all the more frighteningly real to otherwise healthy children. Summers were steamy in low-lying Newark, and because the city was partially ringed by extensive wetlands -- a major source of malaria back when that, too, was an unstoppable disease -- there were swarms of mosquitoes to be swatted and slapped away whenever we sat on beach chairs in the alleys and driveways at night, seeking refuge out of doors from our sweltering flats, where there was nothing but a cold shower and ice water to mitigate the hellish heat. This was before the advent of home air conditioning, when a small black electric fan, set on a table to stir up a breeze indoors, offered little relief once the temperature reached the high nineties, as it did repeatedly that summer for stretches of a week or ten days. Outdoors, people lit citronella candles and sprayed with cans of the insecticide Flit to keep at bay the mosquitoes and flies that were known to have carried malaria, yellow fever, and typhoid fever and were believed by many, beginning with Newark's Mayor Drummond, who launched a citywide "Swat the Fly" campaign, to carry polio. When a fly or a mosquito managed to penetrate the screens of a family's flat or fly in through an open door, the insect would be doggedly hunted down with fly swatter and Flit out of fear that by alighting with its germ-laden legs on one of the household's sleeping children it would infect the youngster with polio. Since nobody then knew the source of the contagion, it was possible to grow suspicious of almost anything, including the bony alley cats that invaded our backyard garbage cans and the haggard stray dogs that slinked hungrily around the houses and defecated all over the sidewalk and street and the pigeons that cooed in the gables of the houses and dirtied front stoops with their chalky droppings. In the first month of the outbreak -- before it was acknowledged as an epidemic by the Board of Health -- the sanitation department set about systematically to exterminate the city's huge population of alley cats, even though no one knew whether they had any more to do with polio than domesticated house cats. What people did know was that the disease was highly contagious and might be passed to the healthy by mere physical proximity to those already infected. For this reason, as the number of cases steadily mounted in the city -- and communal fear with it -- many children in our neighborhood found themselves prohibited by their parents from using the big public pool at Olympic Park in nearby Irvington, forbidden to go to the local "air-cooled" movie theaters, and forbidden to take the bus downtown or to travel Down Neck to Wilson Avenue to see our minor league team, the Newark Bears, play baseball at Ruppert Stadium. We were warned not to use public toilets or public drinking fountains or to swig a drink out of someone else's soda-pop bottle or to get a chill or to play with strangers or to borrow books from the public library or to talk on a public pay phone or to buy food from a street vendor or to eat until we had cleaned our hands thoroughly with soap and water. We were to wash all fruit and vegetables before we ate them, and we were to keep our distance from anyone who looked sick or complained of any of polio's telltale symptoms. Escaping the city's heat entirely and being sent off to a summer camp in the mountains or the countryside was considered a child's best protection against catching polio. So too was spending the summer some sixty miles away at the Jersey Shore. A family who could afford it rented a bedroom with kitchen privileges in a rooming house in Bradley Beach, a strip of sand, boardwalk, and cottages a mile long that had already been popular for several decades among North Jersey Jews. There the mother and the children would go to the beach to breathe in the fresh, fortifying ocean air all week long and be joined on weekends and vacations by the father. Of course, cases of polio were known to crop up in summer camps as they did in the shore's seaside towns, but because they were nothing like as numerous as those reported back in Newark, it was widely believed that, whereas city surroundings, with their unclean pavements and stagnant air, facilitated contagion, settling within sight or sound of the sea or off in the country or up in the mountains afforded as good a guarantee as there was of evading the disease. So the privileged lucky ones disappeared from the city for the summer while the rest of us remained behind to do exactly what we shouldn't, given that "overexertion" was suspected of being yet another possible cause of polio: we played inning after inning and game after game of softball on the baking asphalt of the school playground, running around all day in the extreme heat, drinking thirstily from the forbidden water fountain, between innings seated on a bench crushed up against one another, clutching in our laps the well-worn, grimy mitts we used out in the field to mop the sweat off our foreheads and to keep it from running into our eyes -- clowning and carrying on in our soaking polo shirts and our smelly sneakers, unmindful of how our imprudence might be dooming any one of us to lifelong incarceration in an iron lung and the realization of the body's most dreadful fears. Excerpted from Nemesis by Philip Roth. Copyright 2010 by Philip Roth. Reprinted by permission of Houghton Mifflin Harcourt Publishing Co. All rights reserved.